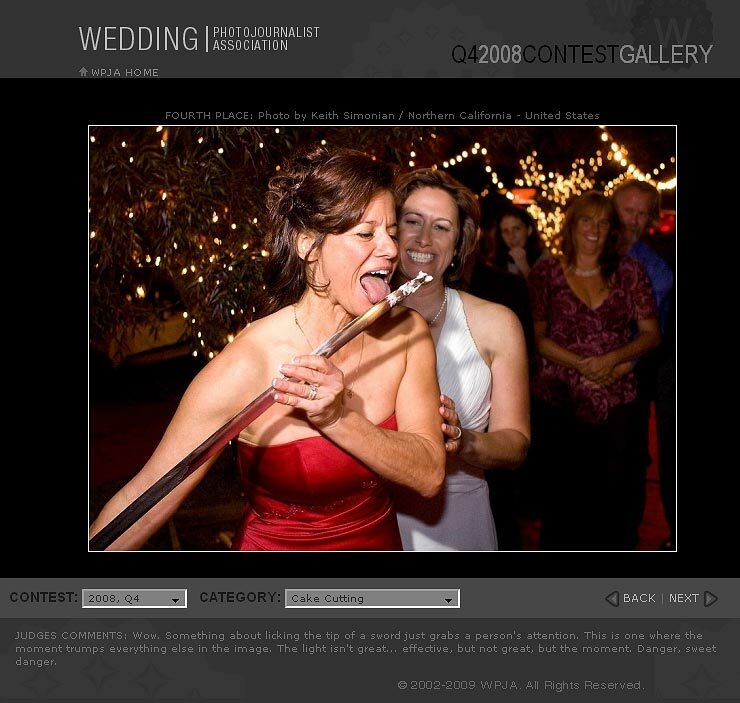 The results of the Wedding Photojournalist Association (WPJA) 4th Quarter contest were recently announced and one of my cake cutting images placed fourth. There is a certain element of danger using a sword to cut the cake. Don’t try this at home.